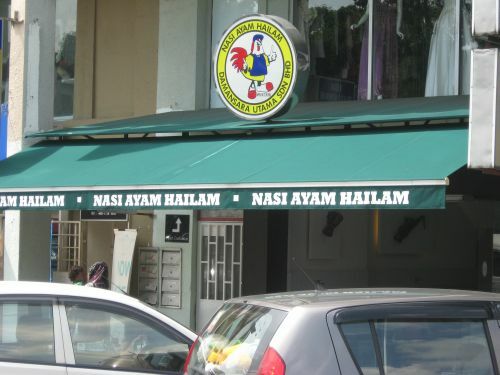 Nasi Ayam Hailam (Halal) (Hainanese Chicken Rice) in Damansara Uptown is located at 102 Jalan SS21/39. 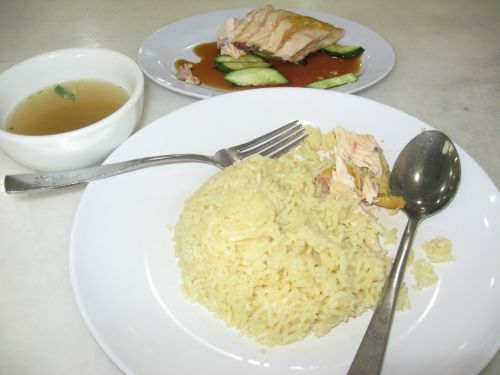 The plate of chicken rice I ordered had rice which was suspiciously very yellow in color, usually a clear indicator of using "false" chicken oil by substituting with magarine. Further, since it is mainly patronized by Muslim customers who are very adversed at eating meat still with the red color of blood (I believe that is haram to them? ), the chicken bone marrow was still reddish with probably undercooked blood. Taste and health wise, I would rank it at the bottom of the scale.